BOONE, NC (BRAIN)—When Specialized approved a Dealer Grant application supporting a Boone, North Carolina mountain bike park, the review board had no hint of the scale of funding their contribution would lead to. 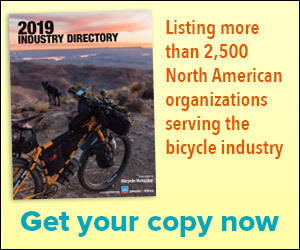 WASHINGTON, D.C.(BRAIN)—Participants of the Dealer Tour in Washington, D.C.
WASHINGTON, D.C. (BRAIN)—The League of American Bicyclists have unveiled their third annual Bicycle Friendly State (BFS) rankings. SAN RAFAEL, CA (BRAIN)—Trips for Kids (TFK) has earned $25,000 as one of the three bike-focused nonprofits Clif Bar & Company has selected to lead its 2 Mile Challenge, a program that encourages the public to bike instead of drive trips under two miles. NASHVILLE, TN (BRAIN)—Mike Gardner’s local online bicycle distribution business was spared the flooding that caused destruction across Tennessee. Because he feels so fortunate, Gardner wants to give back. WASHINGTON, D.C. (BRAIN)—Bolstered by a $25,000 grant from Clif Bar, the Alliance for Biking & Walking is playing a key role in a national effort to replace short car trips with bike travel. BOULDER, CO (BRAIN)—Bikes Belong has awarded funding to six great projects in its Spring 2010 grant cycle. FLETCHER, NC (BRAIN)—Cane Creek’s effort to raise both funds and awareness for World Bicycle Relief through the sale of a special edition 110 Reserve headset has been a success. CARLSBAD, CA (BRAIN)— SockGuy has joined outdoor manufacturers and retailers in a Haitian relief effort spearheaded at January's Outdoor Retailer show in Salt Lake City. MADISON, WI (BRAIN)—Saris Cycling Group president Chris Fortune departs tomorrow on a one-week trip to Europe to tour urban bicycle centers and bring best practices back to his hometown of Madison. SAN RAFAEL, CA (BRAIN)—Trips for Kids (TFK) has hired Andy Phelps to be its new Re-Cyclerly Bike Shop manager. Phelps joins TFK with years of experience in retail bike shops ready to oversee the renovation of the Re-Cyclery Bike Shop located at TFK's national headquarters in San Rafael, CA. WALLA WALLA, WA (BRAIN)—Retro and Allegro Cyclery, both of Walla Walla, WA, made an official presentation of bicycles to veteran patients at the Jonathon M. Wainwright Memorial on March 24. WASHINGTON, D.C. (BRAIN)—The Alliance for Biking & Walking is awarding $125,000 in grants to seven grassroots biking and walking advocacy organizations.